The Reynolds-Alberta Museum in Wetaskiwin is named after Stanley Reynolds, a Wetaskiwin businessman and world-renowned collector who donated more than 1500 artifacts. 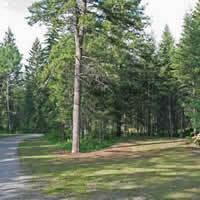 At 223 acres, it makes up “a good-sized chunk” of the area and of the local culture. “Transportation is a theme in the area,” said Justin Cuffe, curator of transportation collections. “After the war, the soldiers were coming back and they wanted an automobile, but they couldn’t afford to buy an automobile. Stan realized this and went around to the wreckers and farmsteads and bought up older cars and had them refurbished and then sold them. He was able to make some money that way and get Albertans on the road, get them back into the prosperous 50s. Today, the museum exhibition hall has more than 100 transportation, agriculture, industry and aviation artifacts on display. 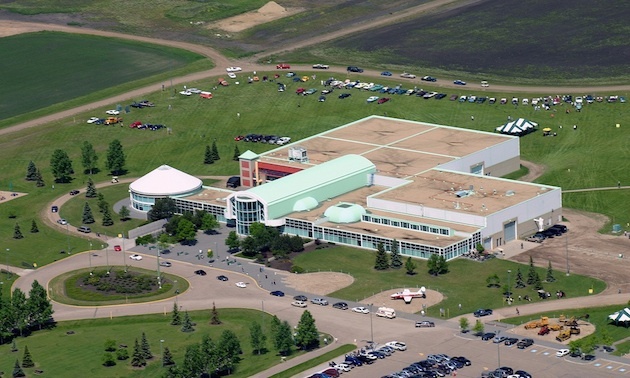 A 1,830-square-metre aviation display hangar houses the Canadian Aviation Hall of Fame, a display of vintage aircraft interpreting Canada’s aviation history. “We are currently about to accept the 100th and 101st aircraft in the aviation collection, making it the second-largest aviation collection in Canada,” said Cuffe. While only a quarter of the collection can be displayed in the hangar at any one time, Cuffe said the pieces that are being shown “are some of the best examples in the collection and some of the most historic pieces,” such as a JN-4 Canuck war trainer aircraft, an “instantly recognizable” snowbird Tutor aircraft, and a Hawker Hurricane. According to CAHF executive director Rosella Bjornson, who became an inductee in 1997 for being Canada’s first female commercial airline pilot, the historical importance of aviation in Canada has a lot to do with the sheer expanse of the country. “Canada is so sparsely settled and there are such distances between cities,” said Bjornson. “Aviation was necessary for any business transactions in Canada. Unless of course, you’re one of the “so many retired pilots that show up in RVs to see the displays,” she said with a laugh.